Carefully designed outdoor spaces can greatly enhance adjacent indoor square footage by providing additional living areas. 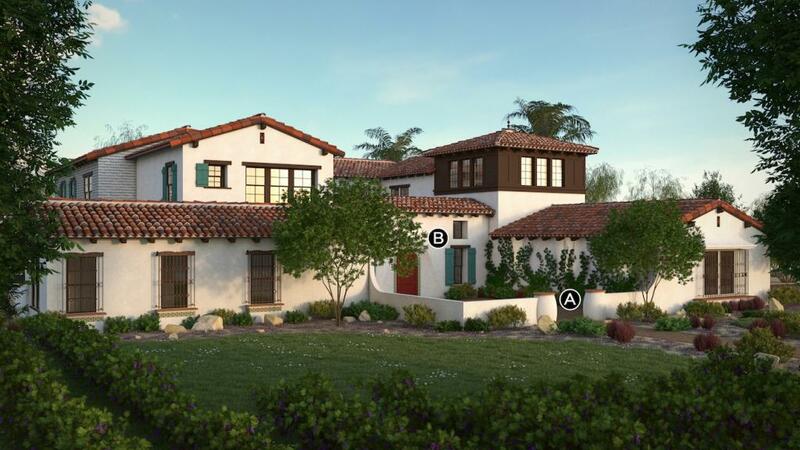 While strategically placed courtyards bring natural light to rooms located near the central portion of a home, expansive porches and loggias offer functional spaces overlooking pools and outdoor kitchens. Although these outdoor areas add value to single-family designs, they also become essential for amenity centers and clubhouses. The following designs from our House Review team present several unique ways to merge the indoor and outdoor living areas. The luxury coastal village of Sea Summit was developed for move-up and established families, as well as lifestyle buyers. Carved into sandstone bluffs rising 100 feet above the Pacific Ocean, it occupies the last parcel of undeveloped land in the popular seaside town of San Clemente, Calif. The Summit Club is situated on a prime bluff-top site and was designed with a cohesive blend of traditional materials and intricate detailing to reflect the rich heritage and charisma of this seaside hamlet. In Florida, outdoor living means ocean, boats, swimming pools, sandy beaches, cabanas, palm trees, and sun. This custom home checked every category. Located on the Intracoastal Waterway in Southwest Florida, this true staycation home boasts direct ocean access, making a boat dock imperative. The outdoor living environment starts at the driveway, with a walkway over a koi pond to the front door, and continuing through the home. This home truly brought the outdoors in with plate glass windows on the entire rear of the house, expansive screened porches, an indoor/outdoor bar, and a large outdoor kitchen. The backyard adult playground continues with a stepped pool allowing for a shallow play area, hot tub, waterfalls, fountains, and a bridge. Situated around the pool are various deck areas for entertaining, leading to a fire pit conversation area and a covered gazebo. Beyond the pool environment is a large sunning deck, sandy beach, and grassy area, all surrounded by lush tropical landscaping. Welcome to Florida! 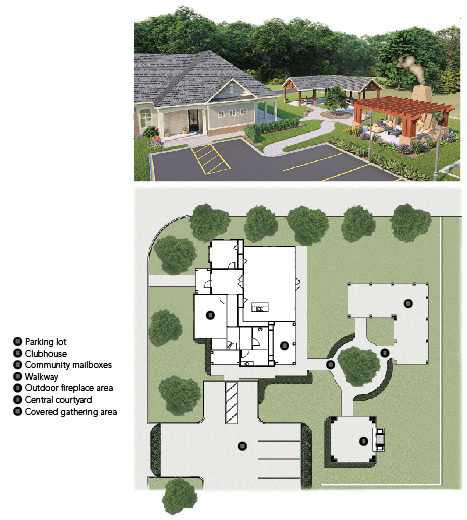 Outdoor spaces are an important part of new-home communities and their community centers. 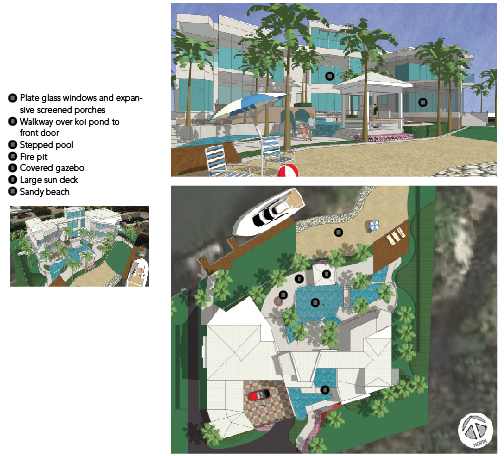 Some developers have wisely chosen to enhance the outdoor living features adjacent to the clubhouse and reduce the size of the building. 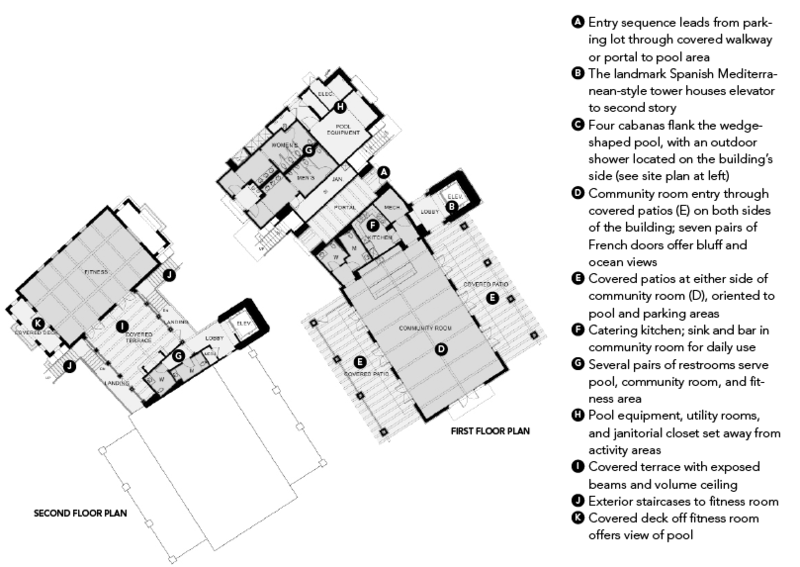 This example provides multiple outdoor gathering experiences, such as a fireplace and covered pavilion, to help establish a true sense of community. 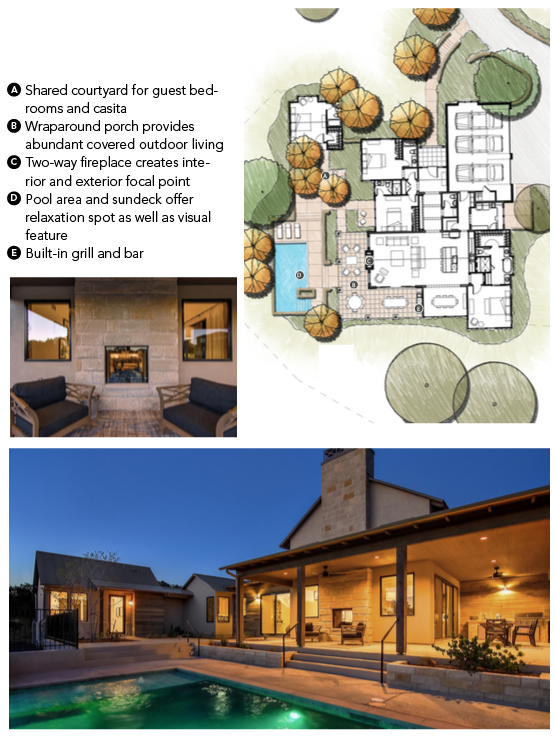 Designed for builder Legacy DCS, outside Austin, Texas, this home features outdoor connectivity and view orientation as a focal point for each room. The front bedrooms both open to a large side courtyard shared with the guest casita. The living and dining rooms are anchored with a wraparound porch that not only provides a large covered outdoor entertainment area, but also takes advantage of lake views from the corner of the lot. 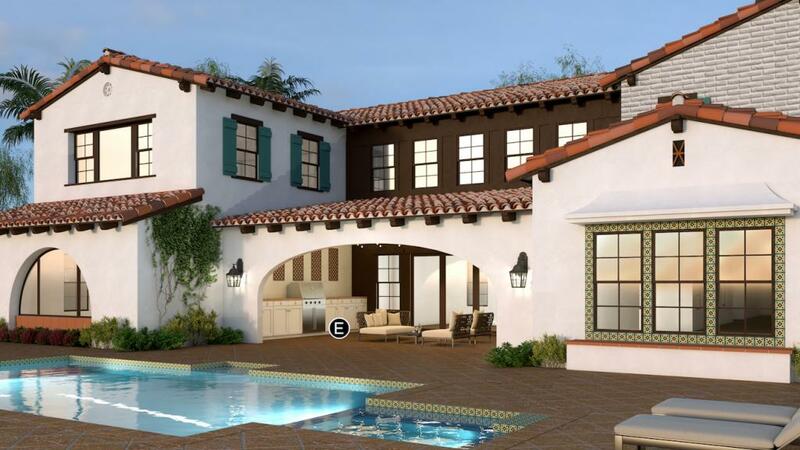 Features such as a two-way fireplace, a built-in grill and bar, and a 12-foot-wide slider activate the wraparound porch and provide excellent indoor/outdoor living. 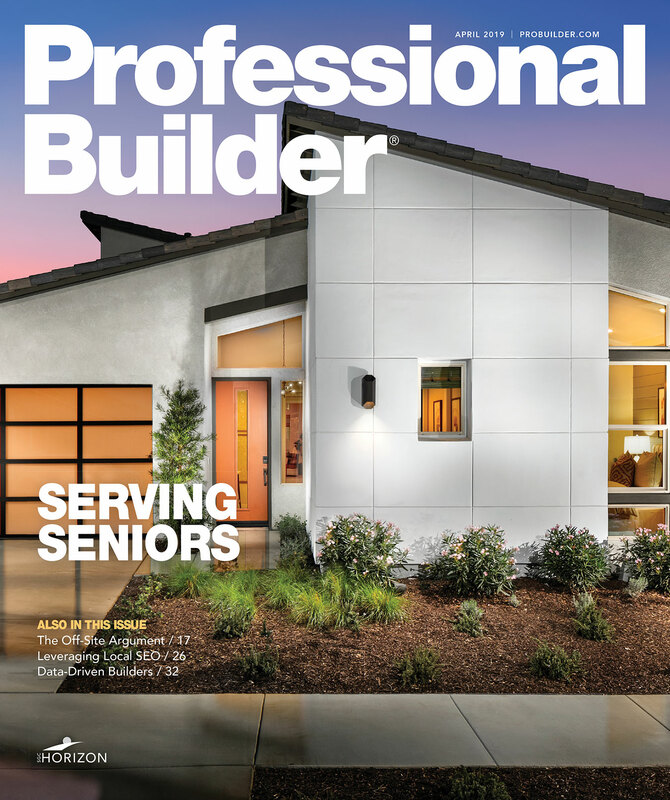 Spring is here, and a variety of outdoor spaces provide an opportunity for unwinding, entertaining, and connection to nature, as well as provide a opportunity to maximize natural light into the home. 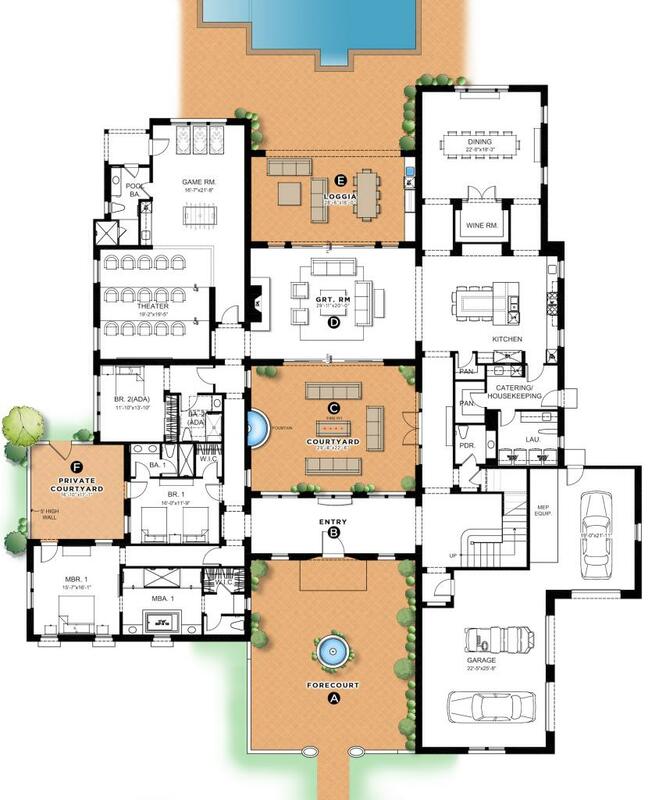 This plan includes a sequence of indoor and outdoor spaces for formal and informal living. The Forecourt defines a semi-private space prior to entering the home. 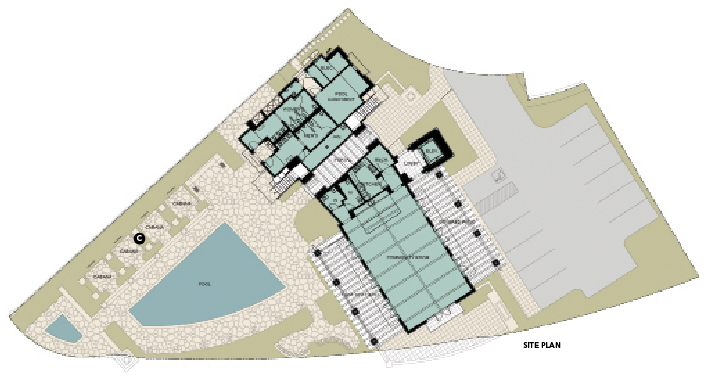 The Entry provides a view into the formal Courtyard, the Great Room then provides connectivity to the uncovered formal Courtyard, sheltered from breezes and the Great Room also connects to the covered Loggia with an outdoor kitchen which lives out to the pool deck area and beyond.